Vodafone Ghana in collaboration with Facebook has launched a new data product as part of its strategy to promote access to reliable and cheap internet and reach underserved areas across the country. Dubbed ‘Express Wi-Fi’ by Facebook, it is a product that helps retail entrepreneurs to offer fast and affordable Wi-Fi services at hotspots spread across the communities and residents at Jamestown in Accra, Nima, Maamobi and Abossey Okai. Speaking at the launch in Jamestown in Accra yesterday, the Chief Executive of Vodafone Ghana, Yolanda Cuba said the product was to provide Ghanaians reliable internet at an affordable rate. “It is certainly a demonstration of our strategy in action. We remain committed to making sure every Ghanaian becomes part of the data revolution, which currently represents the next stage of growth in this age of digital dominance. Affordability remains an issue for users in the underserved regions of the country, despite their high demand for data, and this initiative is the answer,” Ms. Cuba said. 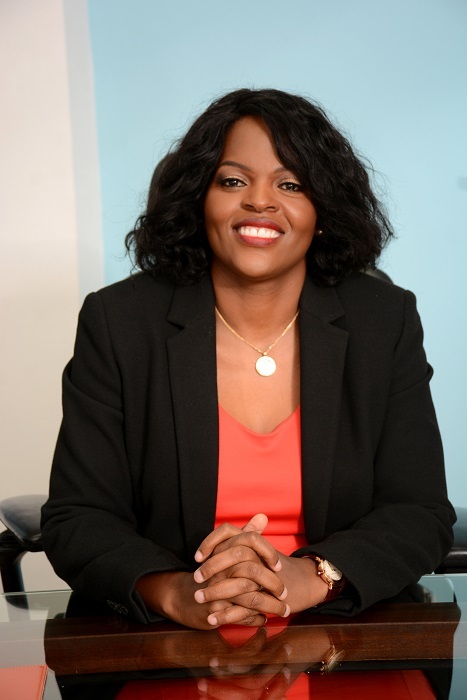 The CEO of Vodafone Ghana said plans were advanced to extend the product to other parts of the country to enable the citizens to have access to data. 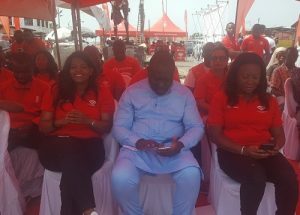 The Deputy Minister of Communications, Vincent Nii Odotei Sowah in his address lauded Vodafone Ghana for the initiative, meant to deepen internet penetration in the country. He said in this “technological age you cannot do anything without the internet,” indicating that currently Police, Military, and Immigration recruitment forms were done online and access to data was very critical. Mr. Odotei said the government was heavily investing in digital infrastructure to help deepen internet penetration in the country and promote quality education delivery in the country. Currently, he said, students easily do their research by accessing the internet for information without physically visiting the library. Akumajay Mantse, Jamestown, Accra, Nii Ayikai III, in his remarks expressed gratitude to Vodafone Ghana for introducing the product at Jamestown. He encouraged the people of Jamestown to take advantage of the product to expand and enhance their businesses. Connecting to the Vodafone express WIFI service is very simple. Put on your WIFI on your smart device (phone, laptop, tablet etc) and connect to Vodafone express WIFI hotspot in any express WIFI connected community. The Vodafone express WIFI portal will automatically open, which you will have to input your mobile number (either Vodafone or any other networks). Data packs can be purchased at the nearest branded and accredited Vodafone express WIFI retailer in your community.